A Master of Education from Crandall University is your pathway to advancing your career. Gain greater awareness of literacy and resource issues, explore the needs of struggling students, and explore the opportunity to upgrade your certification! We also offer three courses that count towards your Principal’s Certificate. 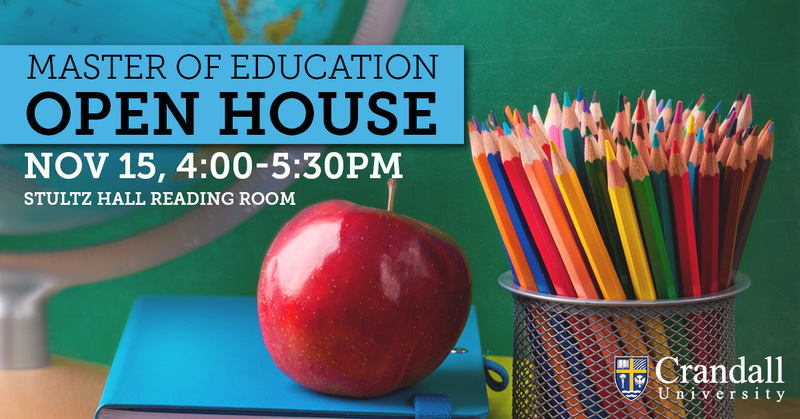 Join us for our Open House on November 15 in the Stultz Hall Reading Room to learn more!